Chank Shells are likely the heaviest shells for their size. They have a large body whorl, broad sephonal canal and some prominent folds on the columella. They are a small family of shells, totaling about 25 species. Chanks can range from 1/2 inch to 14 inches in size. 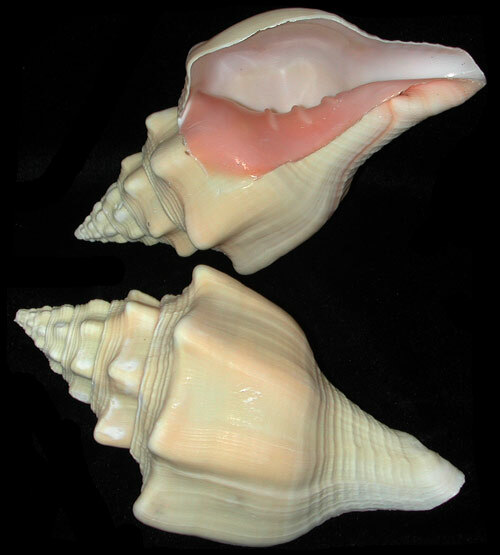 Most chanks have a long siphonal canal and 2 to 3 horizontal or ascending spiral ridges on the columella Chanks are found in the Indian Ocean and Caribbean. They have been found from low tidal to depths of 6000 feet. Most are carnivorous. West Indian Chank is found in sand or rubble, sometimes in turtle grass. They have been found in water 5 to 60 foot depths. They range from the Bahamas, northern Cuba and from southern Mexico to Columbia. It feeds on tube worms and bivalves. Scientific name Turbinella Angulata. 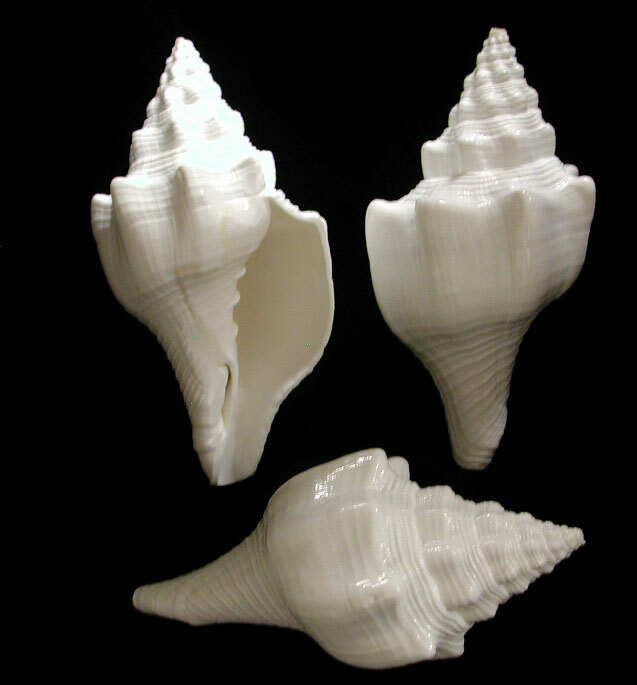 family of Turbinellidae.